Today I am going to share a HDB renovation project done by a Jakarta based interior design firm HelloEmbyro. 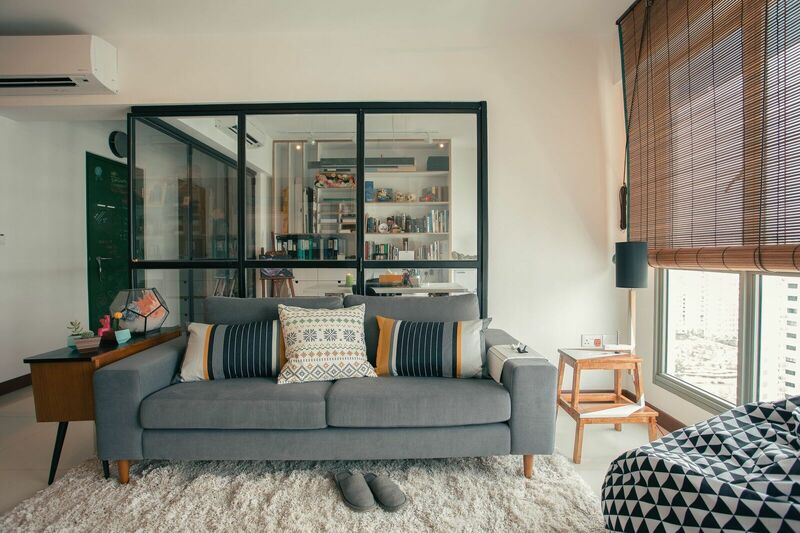 This 4-room HDB flat in Pungol belongs to a creative, art-loving couple of graphic designer and origami artist. Drawing inspiration from the couple’s collection of art and knick-knacks, a large pegboard was designed and installed in the living area, doubles as practical storage solution and design statement. 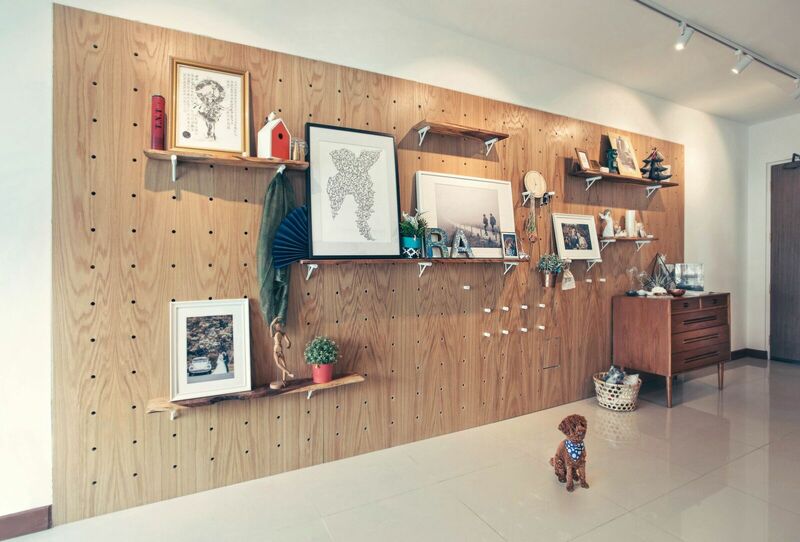 The pegboard allows the homeowner to reconfigure and switch the display of their collections from time to time. 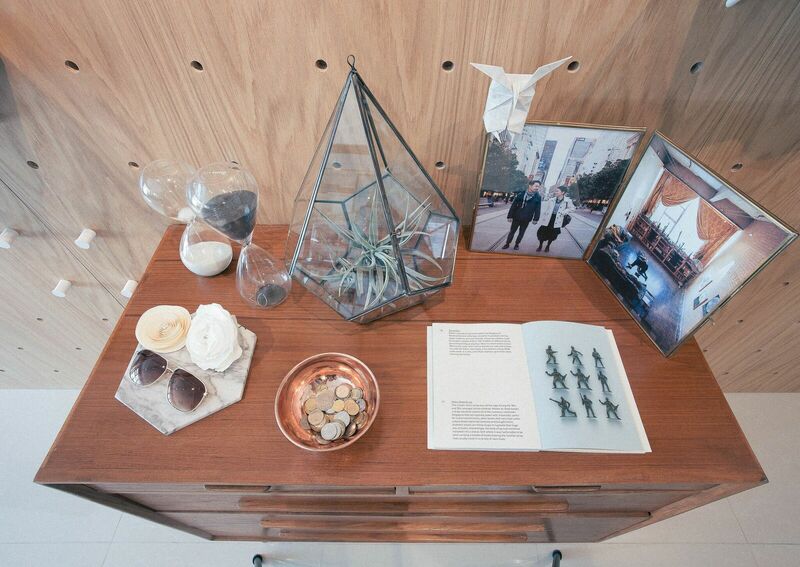 The possibility of their own gallery is endless and this gives character to the space. An art studio is definitely on the wish list of a creative couple. When converting one of the bedrooms to a studio, foldable glass doors are installed to replace the walls, creating a light airy space. This also allows the homeowner to maximize the space to entertain guests, which they do so quite often.